[Reuters: Business News] Britain calls China's Belt and Road Initiative a 'vision': Britain is committed to help realize the potential of China's Belt and Road Initiative (BRI), British finance minister Philip Hammond said on Friday, describing the policy as a "vision". [Reuters: World News] Britain's Hammond optimistic of finding Brexit compromise with Corbyn's Labour: British finance minister Philip Hammond said on Friday that he was hopeful of clinching a Brexit compromise with the opposition Labour Party to allow the ratification of Prime Minister Theresa May's thrice-defeated divorce deal. [Reuters: Entertainment News] The Cranberries pay tribute to late singer with final album: Irish rockers The Cranberries are saying goodbye with their final album released on Friday, a poignant tribute to lead singer Dolores O'Riordan who died last year. [Reuters: Politics] Senator Warren introduces military housing bill to boost inspections, transparency: Senator Elizabeth Warren will introduce a bill Friday that offers new protections for U.S. military families facing unsafe housing, following a series of Reuters reports revealing squalid conditions in privately managed base homes. [Reuters: Environment] Cyclone kills one, leaves trail of destruction across Mozambique: Cyclone Kenneth killed at least one person and left a trail of destruction in northern Mozambique, destroying houses, ripping up trees and knocking out power, authorities said on Friday. [Reuters: World News] Cyclone kills one, leaves trail of destruction across Mozambique: Cyclone Kenneth killed at least one person and left a trail of destruction in northern Mozambique, destroying houses, ripping up trees and knocking out power, authorities said on Friday. [Reuters: 24 hours] Editor's Choice Pictures: Our top photos from the last 24 hours. [Reuters: World News] UNHCR says 21 Venezuelans missing after boat sinks in Caribbean: At least 21 Venezuelans were missing after their boat sank on the way to the Caribbean island nation of Trinidad and Tobago, the U.N. refugee agency said on Friday, citing information from that country's coast guard. [Reuters: Technology News] Uber sets $44-$50 per share price for IPO, posts $1 billion first-quarter loss: Ride-hailing company Uber Technologies Inc unveiled terms for its initial public offering on Friday, telling investors it would seek to sell as much as $10.35 billion in stock at a valuation of up to $91.5 billion. [Reuters: Business News] Uber sets $44-$50 per share price for IPO, posts $1 billion first-quarter loss: Ride-hailing company Uber Technologies Inc unveiled terms for its initial public offering on Friday, telling investors it would seek to sell as much as $10.35 billion in stock at a valuation of up to $91.5 billion. [Reuters: Business News] 'Bonanza time': Foreign carriers savor rising India demand as Jet Airways crumbles: The grounding of India's Jet Airways is turning into a quick windfall and long-term opportunity for international airlines keen to scoop up nearly a million outbound passengers from what was once the nation's biggest airline. [Reuters: Business News] Newer drugs fuel AstraZeneca quarterly sales beat: AstraZeneca Plc beat first-quarter sales and earnings expectations on Friday as the British drugmaker benefited from a push into cancer drugs and emerging markets including China. [Reuters: Technology News] Sony flags disappointing profit, scraps targets as gaming slows: Sony Corp warned of a sharper-than-expected drop in its annual profit and scrapped some longer-term targets, in a sign a slowdown in its gaming business as its PlayStation 4 console nears the end of its life was beginning to hurt. [Reuters: World News] Cypriot police search for more victims of suspected serial killer: Cypriot police searched on Friday for more victims of a suspected serial killer, in a case which has shocked the Mediterranean island and exposed the authorities to charges of "criminal indifference" because the dead women were foreigners. [Reuters: Business News] Ad group WPP hit by client losses in North America: The world's biggest advertising company WPP suffered a sharp drop in first-quarter underlying sales in North America as the loss of work from clients such as Ford took a toll on its most important market. [Reuters: Business News] Europe wants to sign Belt and Road MOU as a group: German minister: Major European Union countries want to sign a memorandum of understanding on China's Belt and Road initiative as a group and not as individual states, German Economy Minister Peter Altmaier said on Friday. [Reuters: World News] Support for Malaysian PM drops as concerns grow over economy, race: survey: Fewer than half of Malaysians approve of Prime Minister Mahathir Mohamad, an opinion poll showed on Friday, as concerns over rising costs and racial matters plague his administration nearly a year after taking office. [Reuters: Politics] Explainer: What does it take to remove a U.S. president from office? : The "i word" - impeachment - is swirling around the U.S. Congress since the release of Special Counsel Robert Mueller's redacted Russia report, which painted a picture of lies, threats and confusion in Donald Trump's White House. [Reuters: Sports News] Owner of NFL's Patriots wants Florida judge to toss prostitution sting video: New England Patriots owner Robert Kraft's lawyers on Friday are set to ask a Florida judge to toss out hidden-camera videos that prosecutors say show the 77-year-old billionaire receiving sexual favors for money inside a Florida massage parlor. The voting rights debate is moving onto new ground. Local activism can lead to new regulations, state and federal laws and better corporate citizenship. "Avengers: Endgame" may be sprawling, but it's a return to the same broad, bland storytelling that defined television before Tony Soprano and Carrie Bradshaw. Why the Green New Deal fits right in with America?s energy economy. Joe Biden was in charge of the Anita Hill hearing. Even he says it wasn?t fair. Hill, who testified against Clarence Thomas, compared the 1991 hearing to a ?trial that lacked all of the protections of a trial.? A powerful cyclone that struck northern Mozambique and is continuing to dump rain on the region killed at least one person and destroyed homes, with the United Nations on Friday warning of ?massive flooding.? Remember iFixit's teardown of a pre-release Samsung Galaxy Fold? Great, now forget it. Samsung requested -- via the "trusted partner" that provided the donor device -- that iFixit pull its teardown, and the site complied voluntarily. Of course, the Internet Archive is still there if you really want to see the Fold's hinge undressed, or you could wait for a new release date so iFixit can grab a retail model and find out what, if anything, is different. The PS4 is nearing 100 million sold. Sony's earnings report warns it expects to make even less profit in the next year, as PlayStation 4 sales slow down, and it invests in its replacement. In the last year, 17.8 million consoles were sold, less than the 19 million sold in 2017. After quickly rushing through a series of plan changes and account terminations, the subscription movie-theater ticket service has announced it's shutting down. A note on the front page of Sinemia's website confirms what subscribers have suspected, citing "unexpected legal proceedings" (including a patent lawsuit filed by MoviePass) and lack of capital. Instead, the company may pivot to building subscription services for theater owners. In a call to investors following Amazon's first quarterly earnings report, CFO Brian Olsavsky said the company is working on changing the two-day default to just one. "We're currently working on evolving our Prime shipping program, which has historically been a two-day program, to a one-day shipping program," he said. "We'll be building most of this capacity through the year in 2019." Finally, technology we can use. If your kids use it as a skateboard, or one rolls away in the parking lot, a sensor can detect objects in the way and bring it to a smooth stop. Time to follow them for a change. In a bid for transparency that will probably only reveal how thirsty it is for likes, the CIA made its first Instagram post Thursday afternoon. There's a wig disguise and a paper bag labeled "Top Secret Pulp". The caption is "I spy with my little eye...". Following up on its earning announcements and targets for the year, Sony's Interactive Entertainment (SIE) arm has commented on the PlayStation's future, in that there's no chance of seeing the successor to the PlayStation 4 in stores any time between now and April 2020. Wall Street Journal reporter Takashi Mochizuki tweeted the comments, which came from a SIE spokesperson following Sony's investor call earlier today. The company reiterated its reduced profit goals for next year but also promised to invest the difference (31.1 billion yen, or $278 million) between last year's operating income and its current outlook for 2019 into developing its next PlayStation console. In an earlier interview with Wired, Mark Cern noted that the console won't be coming any time in this year, but it is likely to be later into the year than many fans would have hoped. It's turning into an increasing interesting period for console gamers, as Nintendo works on upgraded Switch consoles, and Microsoft dips its toes into the world of disc-less games machines. And let's not forget: streaming games services from the likes of Google. Sony seems aware of the challenges and is taking it very seriously. Got a few seconds to spare? Open the Google homepage and search for "Thanos." Then, click the Infinity Gauntlet that appears in the supervillain's Knowledge Graph card. As 9to5Google and others have spotted, the armored glove will snap for a hot-second and then, inevitably, eradicate half the search results. It's a neat little Easter egg that's been added, no doubt, to mark the theatrical release of Avengers: Endgame. And if you grow tired of staring at a half-empty page, you can click the gauntlet once more to trigger the Time Stone and put everything back to normal. Thanos must be serious about "perfectly balanced" search algorithms. Sony is warning that it expects to make even less profit in the next year, as PlayStation 4 sales slow down and it invests in its replacement. In the last year, 17.8 million consoles were sold, less than the 19 million sold in 2017. The PS4 is approaching a major milestone — there are currently 96.8 million consoles out there, buoyed by 36.4 million PlayStation Plus subscribers, adding crucial monthly revenues to Sony's accounts. The company didn't elaborate any further on the next-gen PlayStation (PlayStation 5 or whatever it's called), aside from an "increase in development expensed for the next generation console." It expects profits from the gaming business to drop almost 10 percent next year, even if sales remain "essentially flat" during 2019. The PlayStation 4 isn't expecting any major, standout games this year and Sony won't have its usual presence at E3, either. Sony, in general, is reducing its financial targets, but it hasn't offered any reasoning other than the fact that "a gap has arisen between the actual state of certain segments and the operating income targets that were announced for those segments," according to a Bloomberg report. It expects profits for the next fiscal year to fall 45 percent from a year earlier to $4.5 billion, due to the absence of money made from the sale of part of its stake in Spotify. In its earnings report for the quarter and the year, the company announced that sales and operating revenue for the 2018 financial year stood at $78.14 billion, a one-percent increase on the year before. Narrowing down on the quarter, the company almost quadrupled its profits for the last three months, to 82.7 billion yen ($740.55 million). 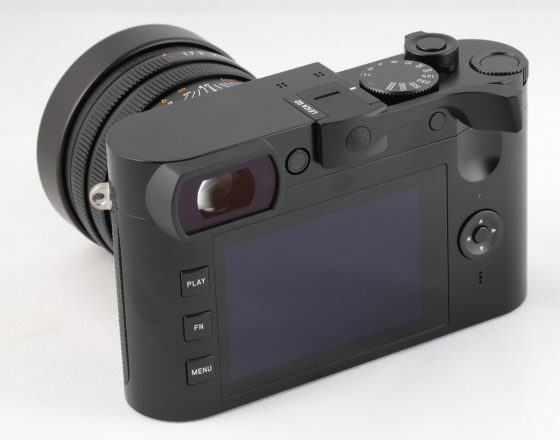 It saw strong performance not only from gaming but also its camera products. Semiconductors (which is how Sony classifies its smartphone camera sensors) are still going strong, with sales up year-on-year. 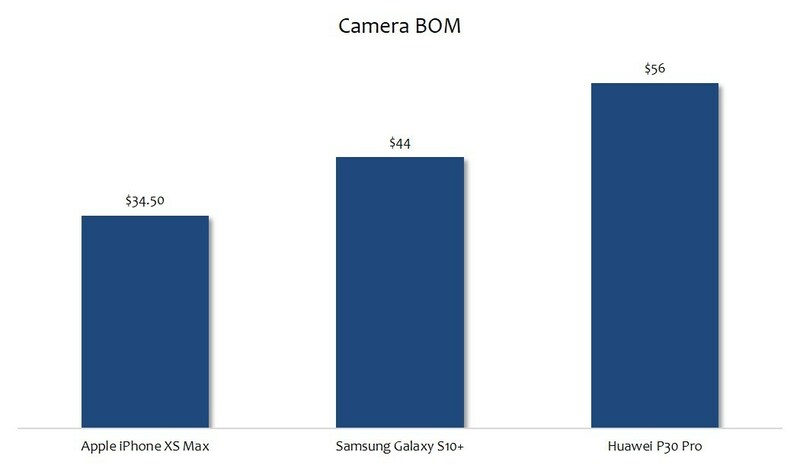 Given the increase in cameras on flagship phones everywhere, it makes sense. Profits from Sony Pictures also increased to $489 million for the year. Gaming remains the company's strongest segment, meaning any weakness there can have big repercussions for Sony and its weaker parts, like mobile. In the last year, Sony's phone arm made a loss of 97.1 billion yen, ($869 million), almost four times the loss it saw in 2017. The company put this down to a combination of fewer smartphones sold, as well as writing down "excess components" that wouldn't be making it into phones. Update: 04/26 6:40am ET: Corrected the headline to reflect that Sony doesn't plan to launch its next-generation PlayStation for at least a year. Dutch telecom company KPN will strip out equipment made by China's Huawei from its existing core mobile telecommunications network at the same time as it upgrades to 5G technology, the company's Chief Financial Officer said on Friday. Jan Kees de Jager said on a conference call that normally dropping a key vendor would lead to greater procurement costs, but that was not true in this case. In the evolving story of a so-called "stablecoin" the office of New York Attorney General Letitia James accused iFinex Inc. -- operator of the Bitfinex exchange and the Tether cryptocurrency -- of trying to cover up "the apparent loss of $850 million dollars of co-mingled client and corporate funds." While researchers have tied Tether transactions to the spike in Bitcoin value that occurred between March 2017 and March 2018, this issue of the missing money is allegedly tied to a transfer of $850 million in funds to Crypto Capital Corp., a payment processor based in Panama. The AG says Bitfinex lost access to funds it had transferred there after regular banks stopped handling its business and subsequently dipped into $900 million of Tether's cash reserves. According to the filing, Crypto Capital Corp. told Bitfinex the funds were "seized by governmental authorities in Portugal, Poland, and the United States" but the AG says Bitfinex doesn't believe that is true. The concept of Tether is supposed to be that it's a cryptocurrency backed one-to-one by US dollars or possibly other assets, however as the Wall Street Journal points out, the lack of an updated public audit has fueled speculation about whether the $2 billion or so that it should have in reserves are actually there. According to the AG, Bitfinex has taken "at least" $700 million from Tether. After the AG's statement came out, Bitfinex issued one of its own, saying that "The New York Attorney General's court filings were written in bad faith and are riddled with false assertions, including as to a purported $850 million "loss" at Crypto Capital. On the contrary, we have been informed that these Crypto Capital amounts are not lost but have been, in fact, seized and safeguarded." It claims Bitfinex and Tether are financially strong, "full stop" and said it will fight these actions. Slashdot reader The Snazster shares a report from ScienceDaily, reporting on materials provided by Johns Hopkins University: New measurements from NASA's Hubble Space Telescope confirm that the Universe is expanding about 9% faster than expected based on its trajectory seen shortly after the big bang, astronomers say. The new measurements, published April 25 in the Astrophysical Journal Letters, reduce the chances that the disparity is an accident from 1 in 3,000 to only 1 in 100,000 and suggest that new physics may be needed to better understand the cosmos. In this study, [Adam Riess, Bloomberg Distinguished Professor of Physics and Astronomy at The Johns Hopkins University, Nobel Laureate and the project's leader] and his SH0ES (Supernovae, H0, for the Equation of State) Team analyzed light from 70 stars in our neighboring galaxy, the Large Magellanic Cloud, with a new method that allowed for capturing quick images of these stars. The stars, called Cepheid variables, brighten and dim at predictable rates that are used to measure nearby intergalactic distances. The usual method for measuring the stars is incredibly time-consuming; the Hubble can only observe one star for every 90-minute orbit around Earth. Using their new method called DASH (Drift And Shift), the researchers using Hubble as a "point-and-shoot" camera to look at groups of Cepheids, thereby allowing the team to observe a dozen Cepheids in the same amount of time it would normally take to observe just one. [...] As the team's measurements have become more precise, their calculation of the Hubble constant has remained at odds with the expected value derived from observations of the early universe's expansion by the European Space Agency's Planck satellite based on conditions Planck observed 380,000 years after the Big Bang. "This is not just two experiments disagreeing," Riess explained. "We are measuring something fundamentally different. One is a measurement of how fast the universe is expanding today, as we see it. The other is a prediction based on the physics of the early universe and on measurements of how fast it ought to be expanding. If these values don't agree, there becomes a very strong likelihood that we're missing something in the cosmological model that connects the two eras." 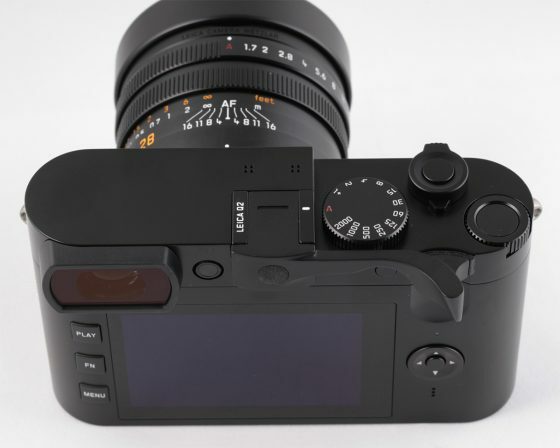 Match Technical has a new EP-LQ2 Thumbs Up model for the Leica Q2 camera. Pre-orders are already open at B&H Photo and PopFlash. The post New: Match Technical EP-LQ2 Thumbs Up for the Leica Q2 camera appeared first on Leica Rumors. The Galaxy Fold won't make its planned launch date as Samsung looks into problems experienced by several reviewers with test units. In the meantime, the folks at iFixit did what they do best and pulled one apart, but on Thursday explained their choice to "withdraw" the teardown. While iFixit usually gets a device specifically for the purpose of pulling it apart, this one was apparently provided by a third party. Samsung then asked that "trusted partner" to have the teardown removed and iFixit -- while insisting it didn't have to -- acquiesced to keep the peace. iFixit called the device it undid "alarmingly fragile," but also noted in today's post that "Our team appreciated the chance to look inside this ambitious device. All new products face challenges—this one perhaps more than most." We still don't know exactly what Samsung might tweak before the Galaxy Fold is rescheduled for a proper retail launch, but it's possibly that the company doesn't want to expose problems, or any secrets before the thing is actually on sale. Either way, the teardown is out there now, and preserved in the Internet Archive if someone really wants to what a Fold test unit has inside and, perhaps more importantly, what it might lack in protection that would allow debris inside. An anonymous reader quotes a report from Phys.Org: The celestial phenomenon known as STEVE is likely caused by a combination of heating of charged particles in the atmosphere and energetic electrons like those that power the aurora, according to new research. In a new study, scientists found STEVE's source region in space and identified two mechanisms that cause it. Last year, the obscure atmospheric lights became an internet sensation. Typical auroras, the northern and southern lights, are usually seen as swirling green ribbons spreading across the sky. But STEVE is a thin ribbon of pinkish-red or mauve-colored light stretching from east to west, farther south than where auroras usually appear. Even more strange, STEVE is sometimes joined by green vertical columns of light nicknamed the "picket fence." Authors of a new study published in AGU's journal Geophysical Research Letters analyzed satellite data and ground images of STEVE events and conclude that the reddish arc and green picket fence are two distinct phenomena arising from different processes. The picket fence is caused by a mechanism similar to typical auroras, but STEVE's mauve streaks are caused by heating of charged particles higher up in the atmosphere, similar to what causes light bulbs to glow. "Aurora is defined by particle precipitation, electrons and protons actually falling into our atmosphere, whereas the STEVE atmospheric glow comes from heating without particle precipitation," said Bea Gallardo-Lacourt, a space physicist at the University of Calgary and co-author of the new study. "The precipitating electrons that cause the green picket fence are thus aurora, though this occurs outside the auroral zone, so it's indeed unique."